The Rimu Track in Pureora Forest Park loops through both pristine and recovering native forest on the eastern flanks of Mt Pureora. 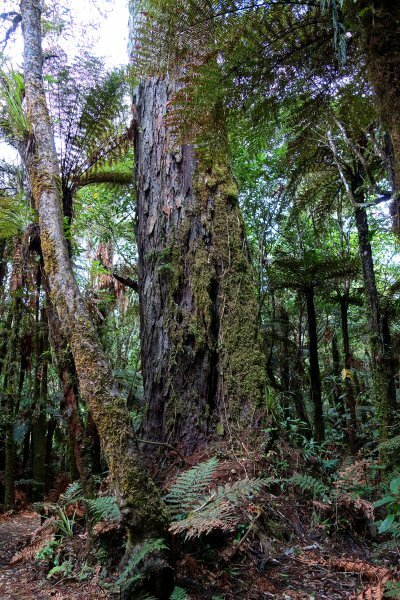 As hinted by the track's name, rimu is the dominant tree emerging through the canopy. Near the northen entrance of the loop track, a grove of stunning trees reach 50 m and more. The tree in this entry was measured at 53.1 m tall. Other trees nearby may be even taller, but ground based measurement is problematic due to the heavy undergrowth. 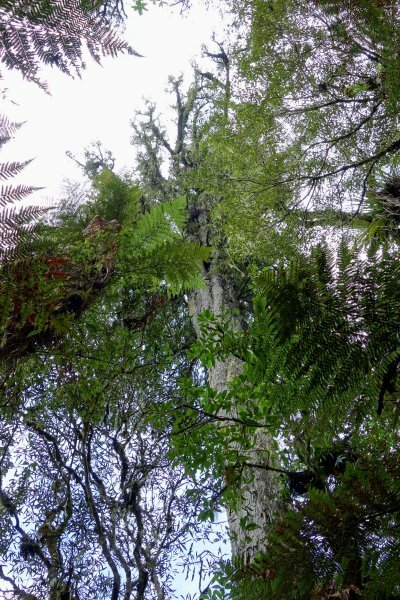 The tallest known rimu is a 53.6 m tree, measured by Bob Van Pelt on a hunter's track elsewhere in Pureora Forest Park (Smillie, 2014). Straight shot through gap in the crown to a high top. 51.4 m measurement plus 1.7 m eye height. The tree is in its prime. Tall bole exceeding 20 m.
17 Oct 2014 Smillie, M.J.
A few metres in from the northern entrance on Kakaho road, north of the campground. Right next to the track.